OMNI3D, the Polish producer of industrial 3D printers, is discovering new areas of development. The company has just signed an agreement with a new reseller and is now available in 15 countries. 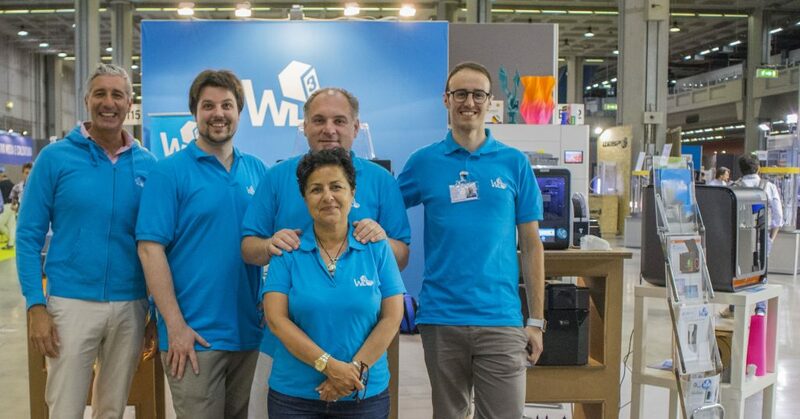 The cooperation with WL3D opens up OMNI3D to Italian companies. WL3D is a part of the WorkLine Store brand, which has existed for over 20 years now. WL3D specialises in additive technologies. In addition to selling 3D printers, the company also offers filaments, scanners, modelling services and 3D printing on demand. WL3D will present its products and services soon at Technology Hub in May. ‘After a careful evaluation and following the requests of several potential customers, we are therefore proud to have started this partnership and we look forward to presenting to our customers the capability of this extraordinary printer. Not only are the technical features exceptional, but the OMNI3D team has also paid attention to small aesthetic and functional details’, he comments. The large 500x500x500mm format is an opportunity for the entire manufacturing industry but not only. Think for example about the furniture industry and many other uses. ‘Fundamental for us has also been the attention paid to the development of 3D printing materials, essential for successful production but above all to ensure accurate repeatability. Italy is a country where artisans and small and medium-sized enterprises represent a huge part of the production sector and a machine like this can guarantee great potential to its users’, concludes Matteo Quaglia. This cooperation is a significant event for OMNI3D. ‘Italy is an important market for us. We have a lot of inquiries from local Italian customers, so looking for the reliable partner in that market was my priority in the past quarter,’ says Marek Starow, Export Manager at OMNI3D. ‘At OMNI3D, we are working on the continuous exploration of new markets. We want to expand our network into Scandinavia and the United States. We appreciate the ability to have direct contact with the client, so we regularly participate in industry meetings and fairs. At the beginning of 2018, we will be present at Polish events in Kielce and Bydgoszcz, but we will also be exhibiting at foreign fairs where we have not been before,’ concludes Marek Starow. The Polish manufacturer of industrial 3D printers sells its devices in countries including: Czech Republic, Russia, France, Germany, Switzerland, United Kingdom, Australia and New Zealand.